With the advent of digital cameras, taking many pictures of a scene from different viewpoints has turned into a common practice. The abundance of such image sets has motivated researchers to develop algorithms for generating photomosaics with wide fields of view. In this project, we developed an approach to generating a Hockney-style collage from a set of input images, which we call a scene collage. 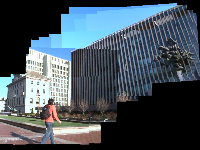 In a scene collage, images of a scene are laid out using similarity transforms computed based on feature matching; the layer ordering of the images is determined automatically via an optimization procedure to make the collage appear least fragmented. The final collage can be displayed with opaque layers, transparent layers, or blended boundaries. 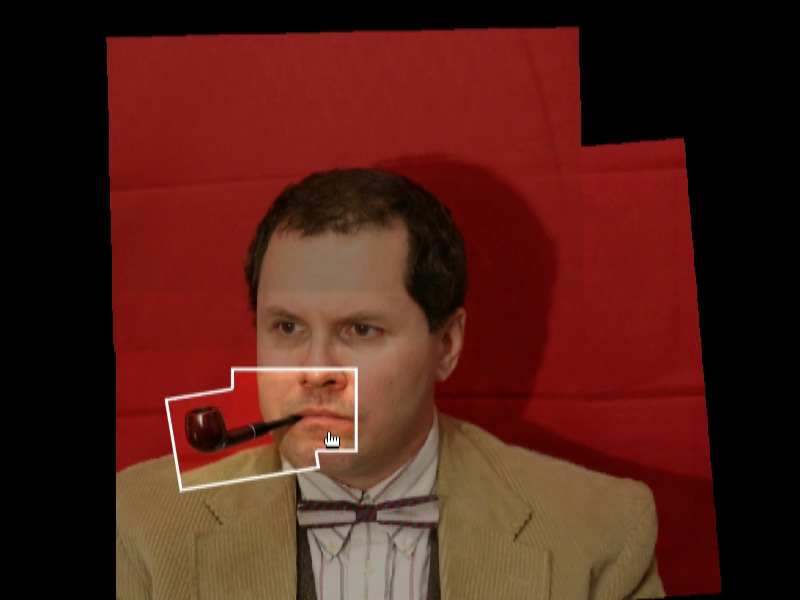 For many scenes, scene collage provides a richer experience than what a seamless mosaic does. When looking at such a collage, a person can comfortably perceive the overall structure of the scene as well as imagine the camera's motion during the capture of the images. The scene collage can also be generated in a nested manner, enabling a user to browse photos at various levels of details. Finally, scene collage can be generated from images of a scene with strong parallax, making it potentially have a wider operating range than photomosaics. An algorithm for generating scene collages that is very similar to ours has been simultaneously developed by Lihi Zelnik-Manor and Pietro Perona at Caltech. To create video collages of dynamic scenes, we present new designs of camera arrays for capturing multiple videos of a scene from different viewpoints. Our design consists of a plastic frame onto which a set of cameras can be easily attached, very much like Lego(R) building blocks. The spatial layout of the cameras can be reconfigured in a matter of minutes to achieve a variety of configurations, such as "L" and "T" shaped ones. The plastic frame can be physically flexed to vary the shape of the array. This gives a photographer significant creative control — the composition of the scene can be smoothly varied as the scene changes. "Scene Collages and Flexible Camera Arrays,"
We present an image gallery of results obtained by applying our scene collage methods to a wide variety of real scenes. 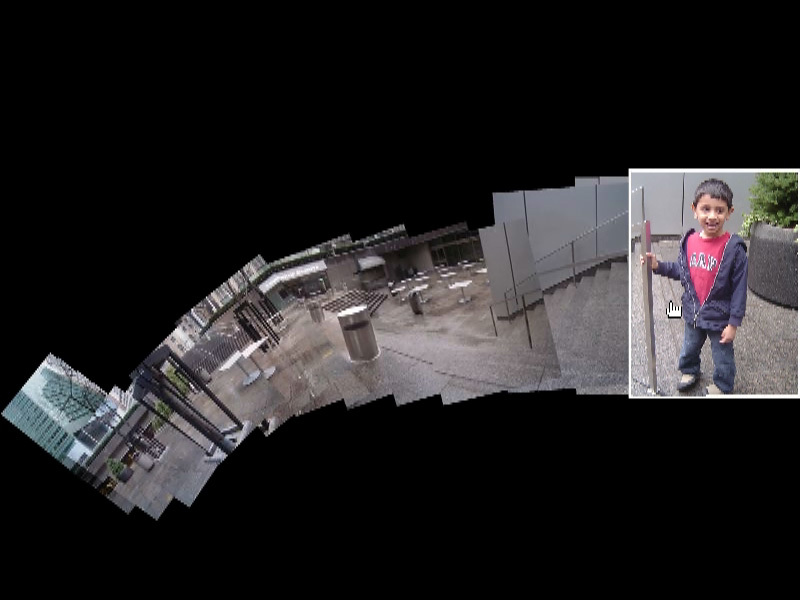 We present a video gallery of results obtained by applying our scene collage methods to a variety of dynamic scenes, captured using our flexible camera arrays. This video is the supplemental video for our EGSR 2007 paper. It contains a brief summary of our approach, a comparison of scene collage and photomosaic, flexible camera array designs, and some examples of dynamic collages. The collage representation is suitable for browsing collections of photos taken from the same scene. As the user rolls over the collage, the component images are highlighted. The user can choose to view the most desirable image. The collage can be generated in a nested fashion to organize pictures taken with a wide range of resolutions. 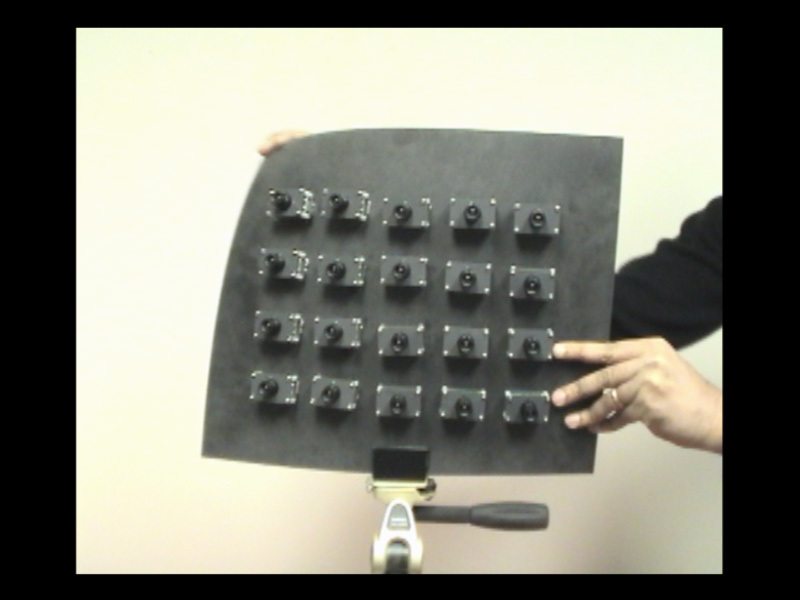 This video demonstrates the construction of flexible camera array and how they can be flexed to vary the composition of the scene during video capture.